Apple on Thursday announced a change in App Store policy which increases the size limit of tvOS app bundles from 200 megabytes to 4 gigabytes, a boost that should provide a better end user experience upon initial installation. With the increased data allowance, developers can include additional media in App Store submissions to offer users a more complete and rich experience out of the box, Apple says in a post to its developer webpage. In addition to larger main bundle sizes, Apple notes tvOS apps are still able to use on-demand resources to host up to 20GB of additional content to the App Store. These on-demand assets are dynamically downloaded to a user's Apple TV in the background and subsequently erased when not needed. The on-demand feature also lets developers remotely store rarely used resources like app tutorials, as well as content related to in-app purchases. Game levels, for example, would likely be hosted on demand from App Store servers. Apple previously restricted tvOS app bundles to 200MB, with remaining assets supplied via on-demand resources, in an attempt to streamline downloads and save space on storage-constrained Apple TV set-top boxes. 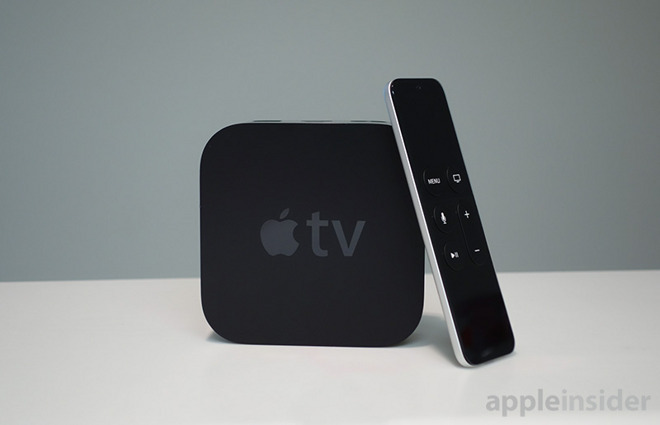 Fourth-generation Apple TV units currently max out at 64GB of onboard storage.